Researchers investigated the prevalence and impact of chronic fatigue in T1DM patients and compared those results to a matching control group. The study also aimed to find potential determinants of chronic fatigue. 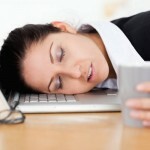 Chronic fatigue is defined as persisting for at least 6 months and leading to impairment of daily function.